Bounce flooring is manufactured by our parent company, Ecore. It leverages proprietary recycling capabilities and breakthrough fusion-bonding technology to produce an athletic surface with exceptional footing and ball response, ideal shock and sound absorption, anti-fatigue results, and remarkable durability. 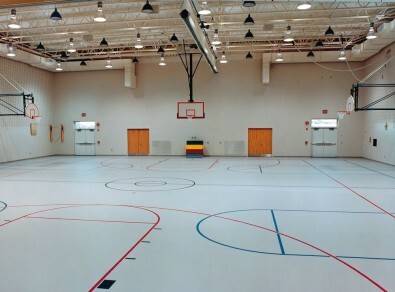 Its resiliency makes it perfect for gym & field house flooring for sport & non-sport high-traffic applications. 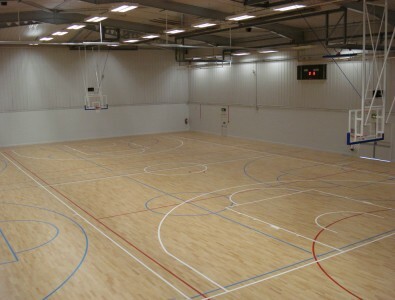 This engineered sports flooring features a wood-look vinyl wear layer with a resilient rubber underlayment. The 6-foot wide rolls are joined by heat-welding the seams to create a seamless wood floor look. 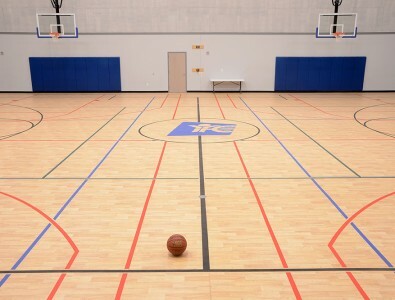 Bounce is gym flooring that’s engineered for exceptional performance – on basketball courts, volleyball courts, racquetball and squash courts, and a variety of other applications. Bounce is a 2 mm vinyl wear layer fusion-bonded to 5 mm rubber underlayment roll good.